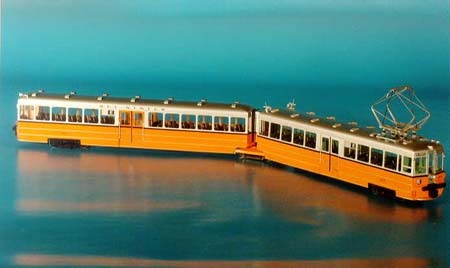 These unusual articulated suburban trams were acquired by Key System to serve on the San Francisco - Oakland Bay Brige. 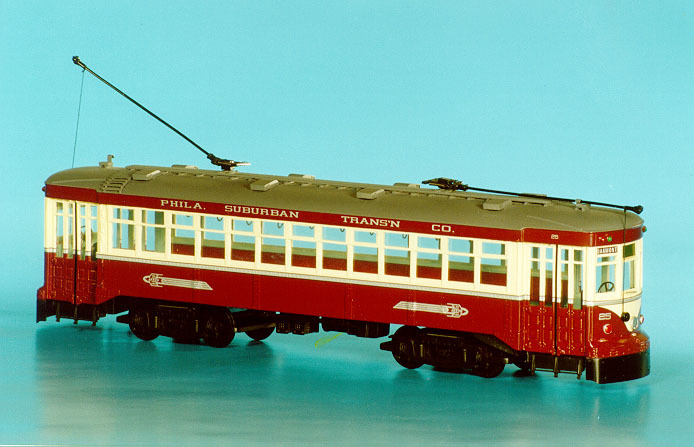 At total, 88 cars were delivered between 1936 and 1939 by three builders: Bethlehem Steel, St.Louis Car Co. and Key System. 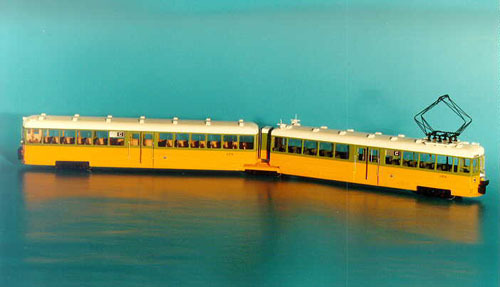 These cars ran over the bridge from 1939 to 1959; 29 were sold to Argentina, 4 were preserved at museums and other 53 were scrapped. 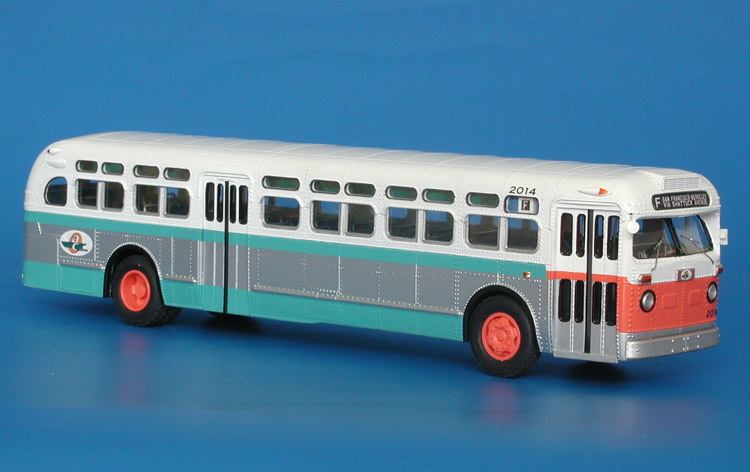 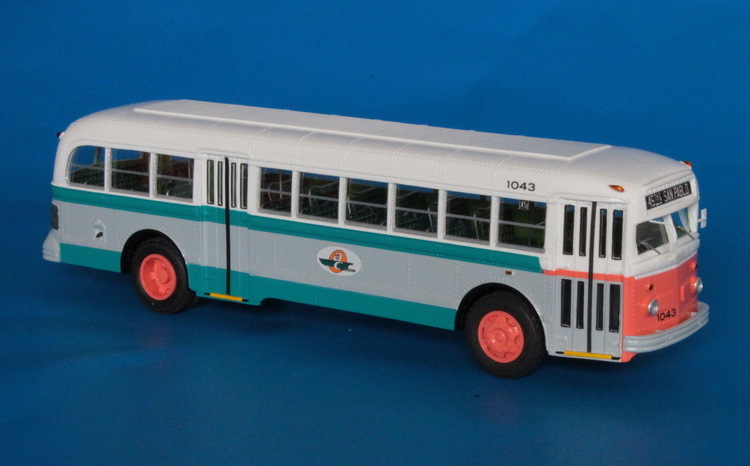 1950/51 GM TDH-5103 (AC Transit 2000-2049 series). 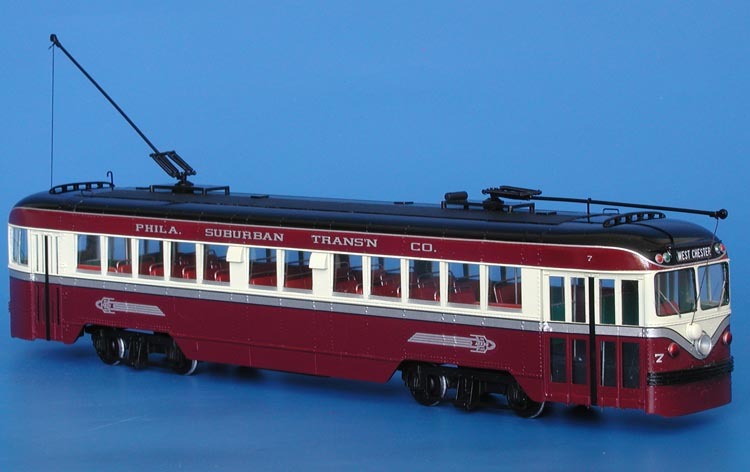 1937 Key System Bethlehem Steel Co. Articulated Bridge Unit - post'46 NCL livery.